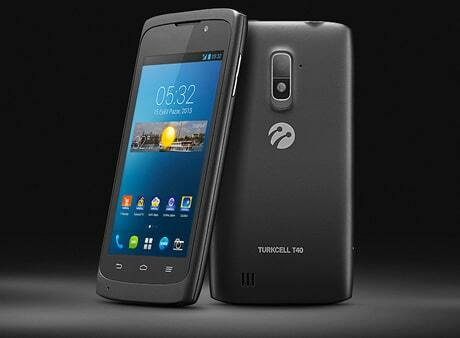 Turkcell has unveiled the T40, an NFC smartphone designed and manufactured in Turkey. The device runs a customised version of Android 4.1 Jelly Bean and includes a five megapixel camera and 4-inch LCD display. The T40 was trailed at the Mobile World Congress in February 2013, when it was revealed that the carrier was working with Qualcomm to develop a “local” smartphone referred to as Gebze — the name of the town where Turkcell’s research and development centre is based. The T40 is powered by a Qualcomm 8225 1.2GHz dual-core processor with 4GB RAM. Its main camera includes zero shutter delay and face detection and is paired with a front-facing 0.3MP shooter. Weighing in at 135 grams, its 1600mAH battery offers a claimed 240 hours of standby and 480 minutes of talk time.